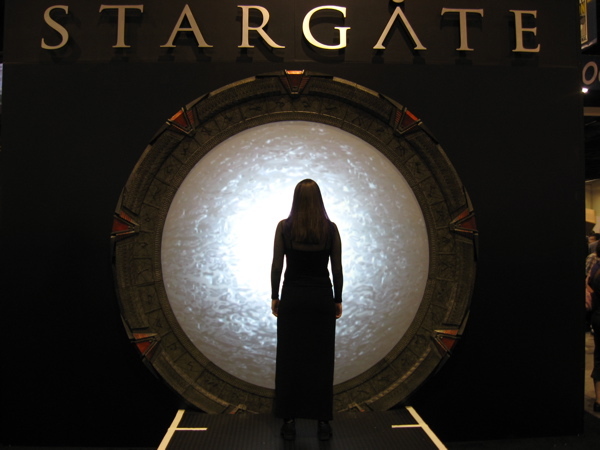 I had a fantastic time at Comic-Con this year, the massive comics/books/movies convention in San Diego. 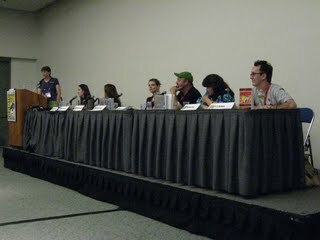 My panel, "Monster Mash," went really well. 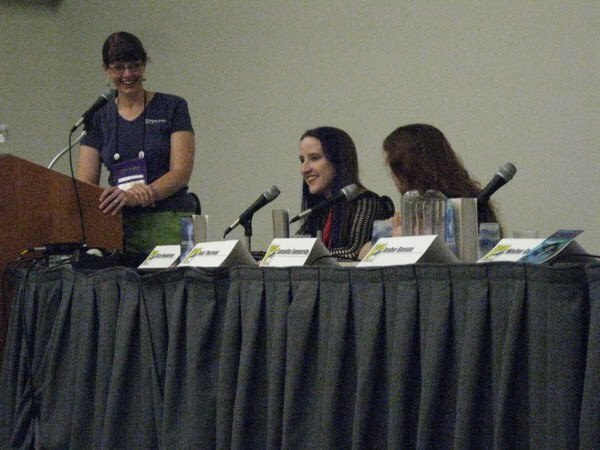 My fellow panelists were all writers who, like me, use fantastical creatures in their work. We had a great audience who asked some insightful questions about the monsters we use in our fiction. Fellow panelists included Rob Thurman, Amber Benson, Walter Greatshell, S.G. Browne, and Marlene Perez. Our moderator was the wonderful Maryelizabeth Hart of Mysterious Galaxy Books. 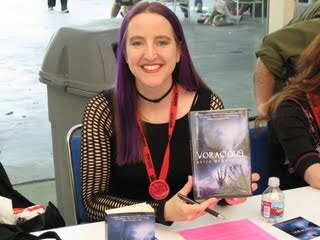 Afterward, we signed our books, and I was delighted to sign the hardback version of my novel Voracious! It was the first time I'd seen the hardback in person. While at the con, I also got to step through the Stargate! I caught up with a lot of fellow writers and met some wonderful people for the first time, including Gil Gerard, Erin Gray, Robert Englund (whose autobiographical Hollywood Monster comes out in October), and Andy Runton, the creator of Owly.